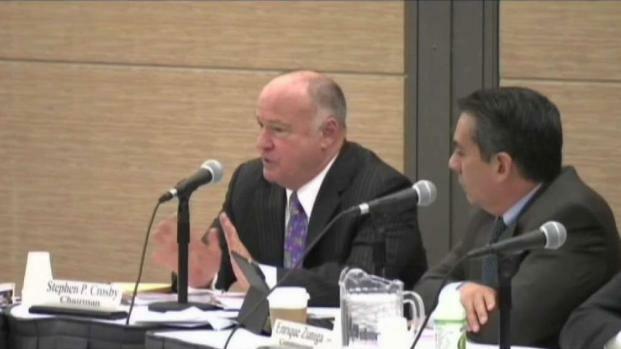 Massachusetts' gambling commission has picked an interim leader after its longtime chairman abruptly resigned. 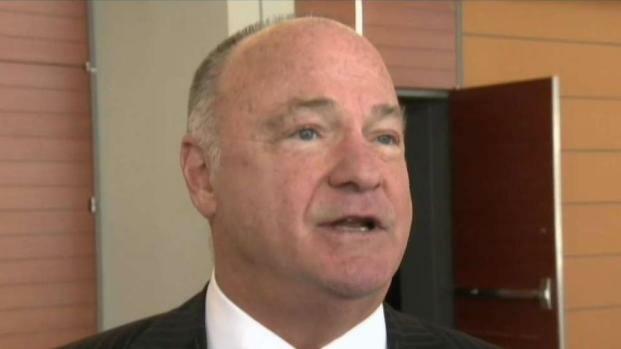 A former deputy superintendent of the New Jersey State Police has taken over as interim head of the Massachusetts' casino regulatory agency following the abrupt resignation of its longtime chairman. The Massachusetts Gaming Commission on Thursday selected Commissioner Gayle Cameron to step in for Stephen Crosby, who resigned late Wednesday over charges of bias in the agency's ongoing investigation into Wynn Resorts. Cameron has served on the commission since her appointment in 2012 by former Democratic Gov. Deval Patrick. She was re-appointed by Republican Gov. Charlie Baker in 2016. During her time in the New Jersey State Police, Cameron commanded the Investigations Branch that had authority over casino regulation, according to her commission bio. She was also an undercover officer on casino and organized crime investigations. The leadership change comes after Wynn Resorts and Mohegan Sun both accused Crosby of prejudging the Wynn inquiry this month in public statements he'd made to reporters. Gambling investigators are looking at how the Las Vegas company handled allegations of sexual misconduct against founder and former CEO Steve Wynn. The casino mogul denies the allegations. Crosby, who has helmed the commission since its formation in 2012, strongly rejected the bias claims in a letter Wednesday but said he didn't want to compromise the investigation's integrity. "There has never been a shred of truth or accuracy to any charge of bias, favoritism, corrupt practice, ethics violations, or prejudgment in my execution of this job," he wrote. But the former UMass Boston dean's role in the awarding of the lucrative Boston-area casino license has long been a point of contention. At various points during the licensing process in 2013 and 2014, Crosby was accused of favoring Wynn or Mohegan Sun's project. Crosby was also the focus of legal challenges and a state ethics probe after it was revealed he had personal and business ties to a co-owner of the former chemical plant land in Everett that Wynn sought to purchase for its casino. Stephen Crosby has resigned as the chair of the Massachusetts Gaming Commission. Crosby ultimately recused himself from the Boston-area license process altogether, but the license decision is still the subject of litigation. Meanwhile, Wynn is hoping to open Encore Boston Harbor, its casino, hotel and entertainment complex across the Mystic River from Boston, next summer.